If one is to come to Cebu and ask locals what you can do in Cebu, you will be overwhelmed with suggestions of trips to the beach, a trek in this or that mountain, a walk along this or that street, or shopping in several establishments around the city. One thing though that is popular in Cebu is food. the restaurants of Cebu have to offer, there is just that very strong aura of “Cebu” or “Sugbo” in our culinary culture. 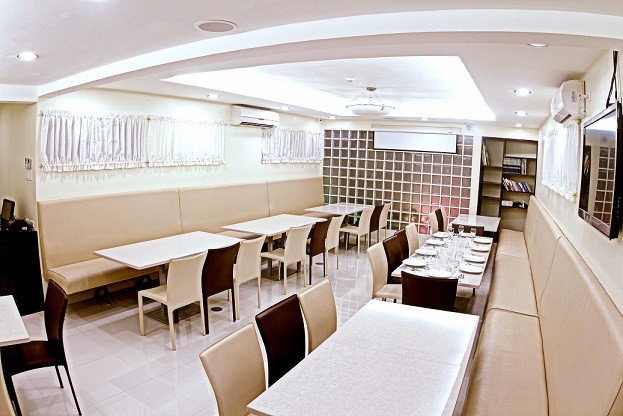 What not a lot of people know is that The Center Suites also has a bistro to serve our guests and also passing visitors, with a wonderful choice of food from Chinese, Japanese, and Filipino cuisines. This doesn’t stop there as we try to go out of our way to try out new dishes so that you won’t ever get bored with the food cooked in the hotel. Why don’t you give in to your Japanese cravings with our selection of Sushi and Sashimi treats like Sake Sashimi. You can also have a nice bowl of Beef Gyudon to really fill you up. 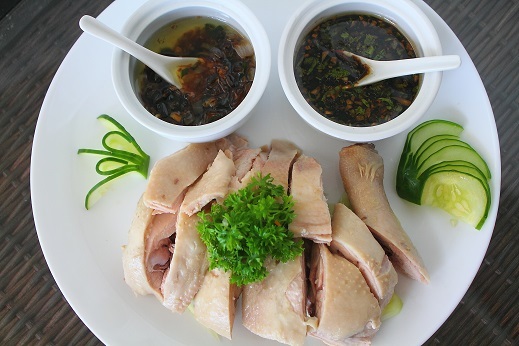 If you wish to extend your choices for Oriental delights, we also have delicious dimsum dishes for you to chow on. How about a nice plate of empress rolls, hakaw, or the classic Siomai (or Shao Mai as some would call it). 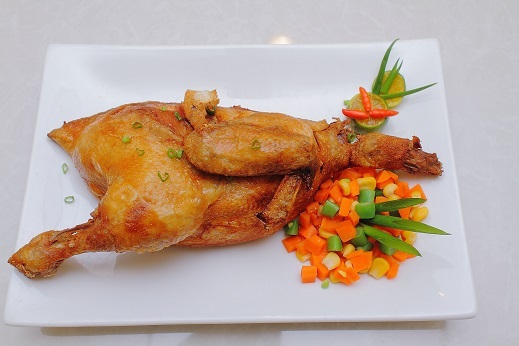 Take a next step to other full servings such as our Center Suites roasted Chicken and absorb its delicious aroma from the concoction of specially chosen spices and ingredients to make our Roasted Chicken truly unique. If you’re not really looking for a full meal you can just sit down and enjoy a nice hot cup of brewed coffee or a refreshing glass of the variety of fruit shakes from real fruit. Cebu is after all known for its bounty of fruits from the mountains or plantations that spread the fertile land. Mango shake is highly recommended as it is also popular in Cebu in its dried form, the Dried Mango Pack. Whatever it is you wish to try out in Cebu, we will try to make your dining experience in The Center Suites as enjoyable as possible. A promise of a reasonable pricing of food and yet quality shall not be compromised.